Adobe System has developed this software development framework to develop mobile applications. 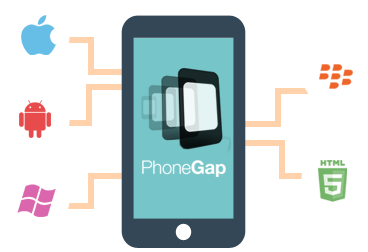 PhoneGap needs experience in HTML, CSS and in JScript to develop apps for different platforms like Android, iOS, Blackberry and Windows. As this framework don’t required specialized knowledge of mobile programming language, this framework is cost effective than the native app development. By doing few changes one can develop the app for different platforms. Those who are having tight budget and want to develop the mobile apps for different platforms can choose phoneGap as development framework.